DETROIT RUNNER....: ShamRocknRoll Run - up next! Weights and Yoga on the schedule today. A full 45 minutes of weights and a full hour of Yoga. Feeling good. 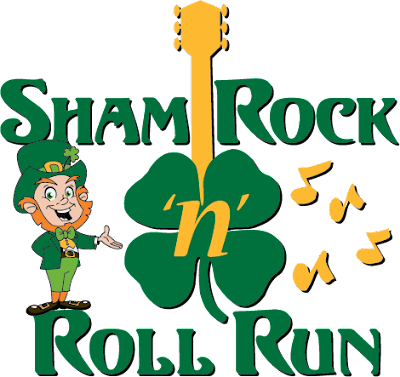 So up next in my month of racing is the ShamRocknRoll Run. I'll be running the 10k but theres also a 5k and 1 mile option. This is a great race and a perfect one for you beginning runners looking to try out a race. Experienced runners will also have a nice fast, flat course. Online registration ends today at 6pm so get going! Go HERE to register today! You need this race for the triple crown medal. If you don't sign up today, you can still sign up at the Expo on Saturday or Sunday as well. I'll be there volunteering for the race on Saturday at packet pickup so please be sure to say hi. I'm not doing this one this year but hopefully next year! Have fun and run hard! Looks like a fun event. Have a great time.